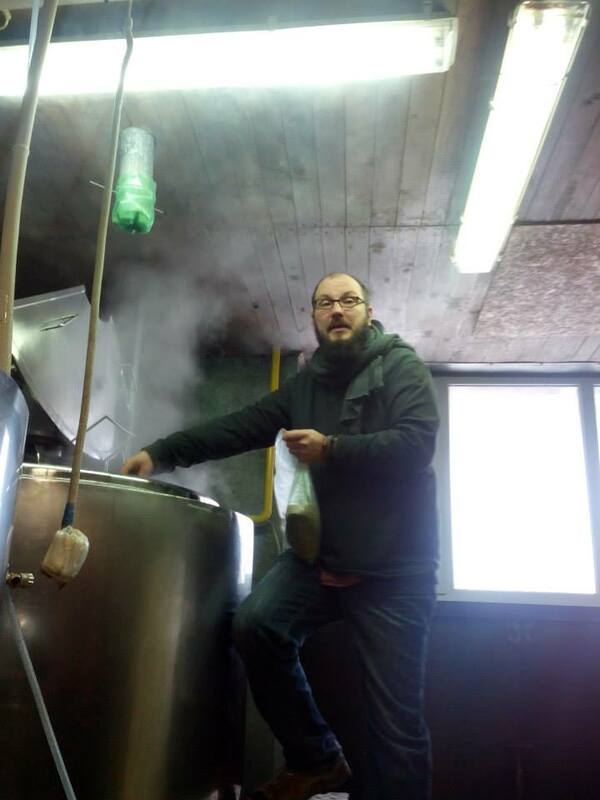 During my last trip to Lithuania I met Simonas Gutautas, who works for the Dundulis brewery. Dundulis is a unique brewery in Lithuania in the sense that they straddle the divide between the world of modern craft brewing and the old, traditional farmhouse brewing. They are also very good at promotion and run several bars in Vilnius and other Lithuanian cities. In a way they are similar to Malduguns of Latvia or Põhjala of Estonia, except that they have a real connection with the farmhouse culture. I've been curious about Dundulis for years. I mean, how many breweries do you know of that have done an outstanding Czech-style lager (Ledzukas) as well as a farmhouse ale mashed with hot stones (Moko Maukas)? So when I had the chance to interview Simonas by email, I took it. Could you tell us a little about Dundulis? What sort of a brewery are you? And how big? Dundulis is a tandem of two breweries. So these breweries are different in batch sizes. One is small, located in Panevėžys, 1000 liter per batch. The other, located in Biržai, is 5000 liters per batch. So Dundulis is the name of our project or a trade mark. Dundulis means thunder. The name is echoing, so our production also needs to be. We were the first who brewed not only American craft style stout, IPA, saison, but we are working on experimental brewing and combining local traditions with modern brewing. So we have brewed beer mashing it with hot stones, made some gruit ales or even mead beer (midaus alus) - braggot. Could you say a little about your role at Dundulis? Are you the brewer? Since Dundulis is two breweries my main role is to manage production range, creation of beer recipes, and also I spread information of our trade mark and production. So I can't say I'm the brewer. I don't brew in our breweries. All the switches and valves are toggled by other great guys. I just supervise them. Why do you have two physical breweries? The breweries differ in batch sizes, so the tasks are different. The smaller one is for experimental brewing, the bigger one's task is to supply stock with sessional beer. Your lineup of beers is a bit unusual. Recently you've done very ordinary craft styles like IPA, double IPA, stout etc, but you also do lagers. And then there are some more traditional beers. What's the thinking behind this mix? We are not beer extremists. We don't say lager is worse than ales or that brewing lagers is not a craft. I see some beer snobs do that, but I think they are not right. So brewing lagers alongside IPA is normal for us, furthermore we have capacities for this. 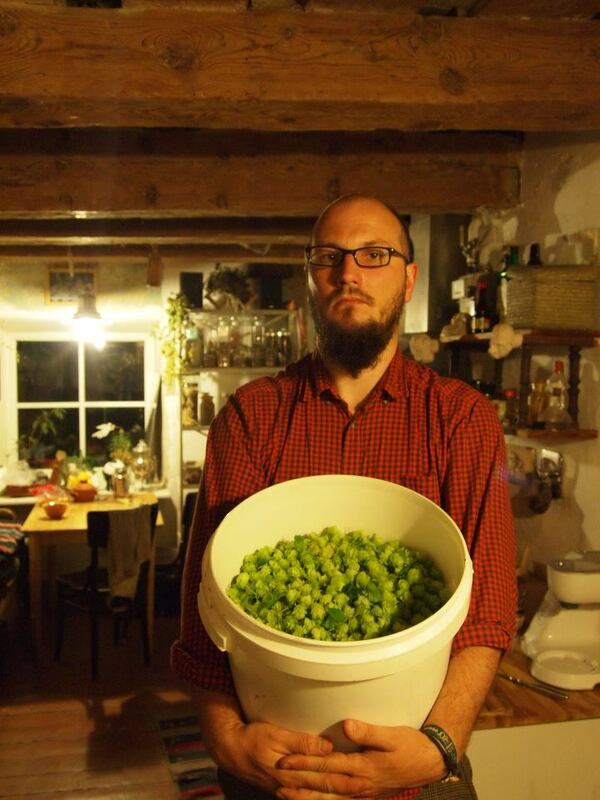 Not only hopheads live in Lithuania. Traditions is very important for us. I studied archeology, so researching local brewing traditions is in my blood. My colleagues also think it is important to keep combine traditions with modern brewing, and to brew distinctive local beers. How did an archeologist get into brewing? I studied archeology in Vilnius University. So I have some historical background. Also I had much interest in reconstruction. So the beer was one of the objects which I aimed to recreate in traditional ways. So I started to do home brewing. My very first batches were very traditional and simple ones. Your mother was a brewer, right? No. But my grandmother brewed the so called "bread beer". This beer she brewed from roasted rye bread and added some barley for better foam, and also sugar to increase alcohol. Also some wild hops, which she picked near the river. Used common baking yeast. She made this drink two days before the feast, and on the first feast day even children drank it, so it was like gira. On the second day it was already beer and grandma watched us not to drink it. Editor's note: Lithuanian gira is very similar to Russian kvass. Some of your marketing says "brewed on wood," what does that mean? All the temperature raising during mash and the boiling is done by steam in our brewery. The steam is generated by a heater which is wood fired. So the main source of energy for brewing is wood. So we brew on wood, not in wood. To brew in wood is prohibited in Lithuania. Some time ago even commercial brewers used wooden vessels, now they have switched to stainless steal. You mentioned mashing with hot stones. How did you do that? The mashing with hot stones is still alive tradition in Lithuania. The copper, iron or steal vessels were very expensive, so people used wooden vessels to brew the beer. To raise the temperature in a wooden vessel you can do by putting something hot in it. So they used stones. For this you must find suitable stones, so called black ones which can resist high temperature. These stones are heated in the fireplace till they become white. You put these stones into the mash, which is so thick that the stick can just stand straight in the mash. If the mash is too thin the stone will fall to the bottom of the vessel and will burn a hole in it. So these stones you put in from time to time, slowly increasing mash temperature. The mashing takes from five to six hours. The hot stones do decoction in the mash and enrich the beer with dextrines and biscuit toffee taste and amber color. Could you say more about the gruit beer? We have several gruit ales in our range and will brew others also. We brew gruits in autumn and winter. It's a good time to do it cause it's cold season and this is better conditions to keep the beers without hops. We brew yarrow, heather, wormwood, and juniper gruit ales. Even mead ales (braggot) . Some of these beers are a little bit higher in alcohol, 6-7%, so the people in winter can enjoy a different type of drink. And they are excited to find out the taste of different herbs. Till the 17th century in Lithuania a very popular drink was mead, which was not allways strong but also 5-6% drink seasoned with different types of herbs. Also herbs in beer were used when the hop harvest was bad. So it's also some historical replicas of brewing. I think readers will want to know if they can get these beers at home. Do you have any plans to export your beers? We will try to make it. But first of all we prefer quality - we won't filter or pasteurize our beer, won't add any antioxidants like sulphites in it. So I think some day we will be able to export, but first we must find a way to do it. You can import our beer, but you need to keep it cool during transportation. Do you agree that there is something unique about Lithuanian beer? Do you have any thoughts about what it is? Lithuanian beer culture is unique in that we didn't have any industrial breweries until the middle of the 19th century. So the beer which Lithuanians drank was self-made. So brewing is in our blood. Many small commercial brewers started brewhouses without any professional knowledge. These brewers brewed in the way their parents did. In the early 90s these brewers brewed in wooden vessels and didn't boil the wort, used local malts, and even wild hops, and yeast. Today the situation is different. Many brewers switched to simple sweet lagers (which are replicas of industrial pasteurized beer), but some are still making very interesting farmhouse ales. So if you read "kaimiškas" on the label it doesn't prove that it is real farmhouse ale. I have tasted many Lithuanian home brewed farmhouse ales, and the taste varies geographically. Pasvalys region is more hoppy, Biržai more malty and stronger, Kupiškis is famous for its "keptinis" (made with baked malt bread), and in some places you can find dextrinous stone (akmeninis) beer. But what is common for all is distinctly perceptible estery fermentation. I think it's because of high pitching temperature and vigorous fermentation. And of course real farmhouse ale is not boiled - so it's rich in proteins. Some old brewers still think boiling the wort will spoil your beer. Hardly any traditional Lithuanian beer seems to be exported. Do you have any thoughts about why? Most traditional beer is made in very poor brewing conditions. Most breweries use dairy equipment from Soviet times. Traditional beer brewers don't even have bottle filling systems and sell beer only in kegs. I think it is possible to export the beer, but you need to keep it refrigerated, just like English cask ales. But it won't have a long shelf-time. Do you think this is likely to change? I think real traditional beer is not for export. It's for import of beer enthusiasts into Lithuania.